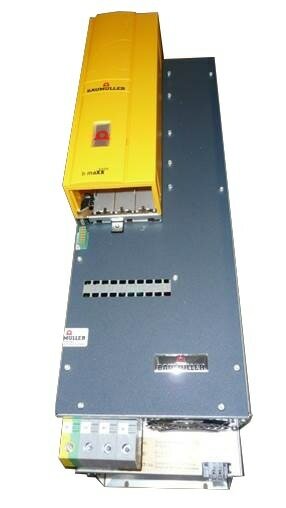 Discover how Intelligent Servo Pump Drives can Benefit You. Energy Efficiency: The motor requires energy only when the machine is moving, thereby saving between 30-50% energy when compared with a conventional hydraulic system. Low Noise: The noise level of the hydraulic servo is substantially less than with a permanently running hydraulic motor as the servo motor only runs when the machine is moving. 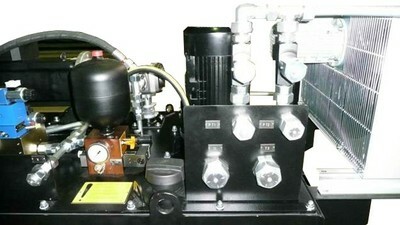 When the machine is idle, the hydraulic servo has no noise emission and no energy consumption. Adjustment of flow rate and cutting pressure are managed and set at the main controller of the machine, thereby providing an accurate specification of cutting speed and cutting pressure. 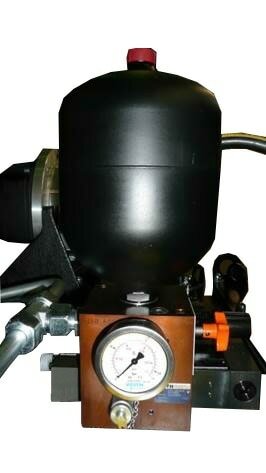 The regulation of the pressure is done with millisecond precision. Elimination of pressure peaks results in smoother machine operation and cleaner material cutting. Controlled fluctuation of the cutting pressure by the servo pump eliminates pressure surges in the hydraulic system. The cutting process may be fully monitored thus a worn or broken die is detected more quickly by observation of the cutting pressure.